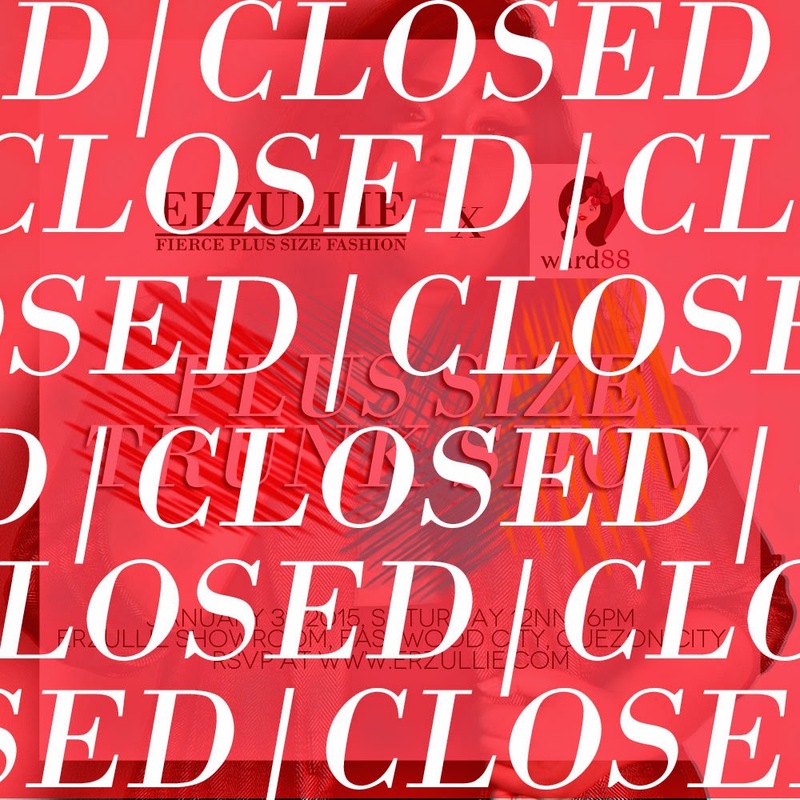 Erzullie Fierce Plus Size Fashion Philippines: PLUS SIZE EVENT: ERZULLIE X WARD88 PLUS SIZE TRUNK SHOW | REGISTRATION CLOSED! PLUS SIZE EVENT: ERZULLIE X WARD88 PLUS SIZE TRUNK SHOW | REGISTRATION CLOSED! We would like to thank all of the Erzulliestas that registered for the Erzullie X Ward88 Plus Size Trunk Show this coming Saturday, January 31, 2015, 12NN-6PM at the Erzullie Showroom, Legrand II, Eastwood City, Quezon City. Get your curves, cards and cash ready! It’s on!